Photoblogging is fast becoming a popular hobby among photographers and bloggers. With just a camera, Internet access, and a blog, everyone has an opportunity to share a photo for the world to see. 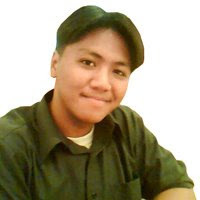 Juned Sonido observes photoblogging to be popular now and people are more expressive with their photos. He said, "Before you could discern the professional photographers from the rest. But now you see more and more people have become more skilled and artistic. And now it is more diverse. You see a lot of good things from film and digital cameras. Even phone cameras are becoming more sophisticated. But it still boils down to the person taking the shot and not the equipment. One group of photographer friends I have have this saying It's not the Bow it's Indian. And it is true." Juned started photoblogging a few months after taking up blogging. He recalled, "I discovered photoblogs and a friend of mine was telling me about it - just take a picture of something and put it in your blog (like take a picture of your breakfast and label it what I ate today). I did not really go down that route. At the time I started going out with my nephews to see different places in the Philippines and I began taking pictures and these were the ones I posted on my photoblog. I had a point-and-shoot digital camera and was just snapping away. I selected a few and this got to be posted on my blog and photoblog." This went on for a few months. And eventually, Juned discovered he really like taking photos or snaps as he would call it. "I use the word snaps because I am not really a professional photographer. I am just a bloke who likes taking snaps. So I was just happy and content taking snaps with my ixus when something happened two unrelated events. 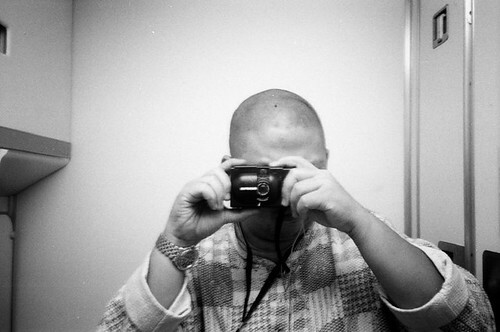 We discovered my old SLR and I met someone with a Holga camera." "In the next few months in my search for a Holga. I came upon the Fisheye2. A plastic camera with a fisheye lens attached. It took the most intriguing photos. Further down the road I acquired more cameras and began accumulating a lot of snaps from film burned directly to CD as jpg. And this eventually found its way to the photoblog." What motivated Juned into photoblogging includes: (i) the desire to chronicle things, (ii) the desire to share snaps with the others and (iii) a way of giving thanks to family, friends and people he loves. With the popularity of photography, concerns on copyright and plagiarism were often discussed in forums and blogs. Juned advises photobloggers to always safeguard one's work. "Label it as to the type of ownership you want over your work. It's your decision to copyleft, put in the public domain or copyright your work. There are several options available. It would be prudent to check the terms and conditions of the photo-sharing platform uses because there are sites that make your photo available or searchable and you might not like that." On a last note, Juned also reminds photobloggers to enjoy and be responsible with this hobby. "Enjoy photography or taking snaps, without becoming obtrusive or abusive to your subject or subjects." Last iBlog4: the 4th Philippine Blogging Summit, Juned shared his experience as a photoblogger. Here's his presentation and talk. When I made a call for iBlog4 speakers, I'm grateful that Charo Nuguid volunteered to share her experience and insight in this area. Charo started blogging way back in May 2003 at a time when Blogger wasn't yet part of Google and "The Geekette Speaketh" (TGS) was still called "Primitive Types". 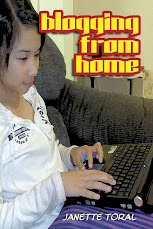 Charo used her blog for posting her everyday geek life although its current version has a different target from when it first started off. She believes that blogging is a way to inform other people that there's always something interesting out there. "It means being able to help others understand something that's new to them. Blogging piques the interest and hopefully get them passionate about something you really feel about." Charo has her own observations of the local blogging scene and on iBlog4, she will be talking about blogging 101 without the commercial pitch side of it. She considers that perspective to be important. "For some reason, it seems that blogging is less about the passion and more about the money. 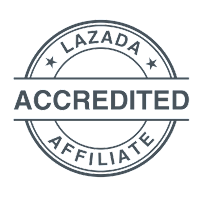 Truth be told, it is SO EASY to turn a blog into a profitable one. The hard part is setting up the foundation of it all. " "I've seen a lot of blogs that simply do nothing but link to others and ride on someone else's success. While that's all well and good, I find that the really big earners do more than just link. They have something new to add to it. They give a totally different view of the situation. Most of the time they have original content. Charo believes that original content still is the driving force of of a profitable blog and cites an example to further explain the point. "One of my best friends put up a blog with the sole target of documenting his childhood experiences before he grows old and senile (his words, not mine). Just a couple posts later he never expected his blog to be such a hit. But I noticed that he had all the points that made his blog really popular. He had a goal. He had a story. It explains why he is what he is today by telling his past. But he never once thought of making money out of it. If ever he decides to do so, he could very well earn more than me. That's why I want to talk about the blog "foundations". I want blogging to be a fun experience for the writer. I want to help them figure out how to write their interests and publish them on the web. At the same time let them know of the dangers of blogging and how to deal with it." 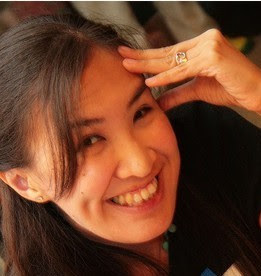 Here's Charo Nuguid's blogging 101 presentation and talk at iBlog4. Aileen Apolo started experimenting with podcasting more than a year ago with the Band of Bloggers (BoB) and ventured into video blogging in You Got Tech. She thinks video blogging is more worth pursuing compared to podcasting. "Because you'll manage to gain a lot more skills when you do it. Aside from content, you have to contend with editing. Both have their uses and both can be used for educating and entertaining people, making videos though allows you to: (1) easily expand the content you want to showcase, having visuals helps a lot; (2) reach more people since the platform is more popular; (3) acquire more skills and grow with the platform (and you can have different styles too); and (4) if you're aim is to become popular, then you have just managed to essentially launch yourself as an internet star." When Aileen launched You Got Tech, her main objective for making a vlog is to learn how to edit videos . "I've been wanting to do that for several years already, I just couldn't find the right motivation and enrolling in school is quite expensive. I just had to find the right avenue which I would be comfortable doing. At this point I cannot imagine myself doing an entertainment vlog. That's my personal mission behind You Got Tech, to learn and have people learn with me." Learn how to do video editing. Whenever Aileen is stumped on something, she ask around. Aileen wishes there'd be more Filipino vlogs and podcasts. "I have been encouraging Choi of Creative Voices to put up a radio-drama-like podcast and a radio station to make their talk shows downloadable. Sana soon!" In the recent iBlog4: The 4th Philippine Blogging Summit, Coy Caballes (interview) and Aileen Apolo shared their thoughts on vlog and podcasting prospects in the Philippines.